David Pottinger’s vessels have firmly established him as one of Australia’s foremost ceramic artists. He is well known for the intricate, striated surfaces of his cylindrical forms which invoke woven textiles as much as the ceramic medium. David’s technique is known as ‘Nerikomi’, a Japanese term that refers to the layering, cutting and fusing of different coloured clays. The clay itself is impregnated with a pepper like pattern and the outside surface is therefore mirrored on the inside of the vessel. David has been exploring the very thin layering of different clays to allow light to pass through, meaning that surfaces which at first appear monochrome are illuminated to reveal a subtle spectrum of pastel colours that lend his forms tonality and vitality. These muted colours reference the natural world and it is easy to read the embedded linear patterns as sedimentary formations in rocks or minerals, bringing about interesting analogies with the very material used and adding depth to an already complex visual dialogue. David Pottinger was born in Dalby, Queensland, and lives and works in Melbourne. 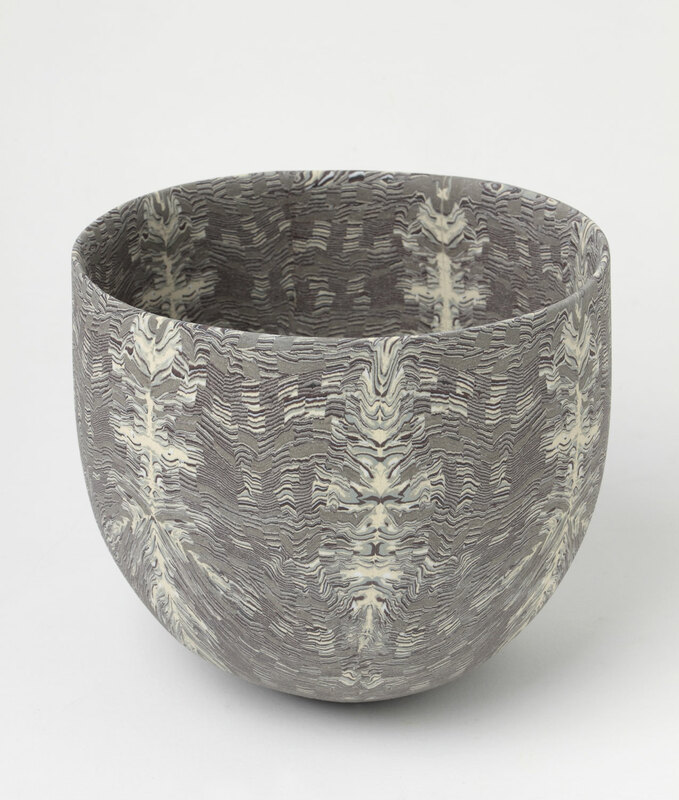 In 1987, he received an Associate Diploma in Ceramics which then led to an Honours Degree at RMIT in 2002, and a Masters Degree from the same institution in 2004. He has twice been the recipient of the Sidney Myer Fund International Ceramic Award, as well as a Siemens Fine Arts Scholarship Award. David has exhibited internationally at the Victoria and Albert Museum in London and, in 2007, at SOFA Chicago where he was represented by Beaver Galleries. His work is represented in the collections of the National Gallery of Australia, National Gallery of Victoria, Art Gallery of South Australia, Art Gallery of New South Wales and the Victoria and Albert Museum in London.